At 35, Cook Islander Pamela Maru is part of a small but growing handful of Pacific women leading -and shaping- the future of fisheries in the world’s largest ocean. 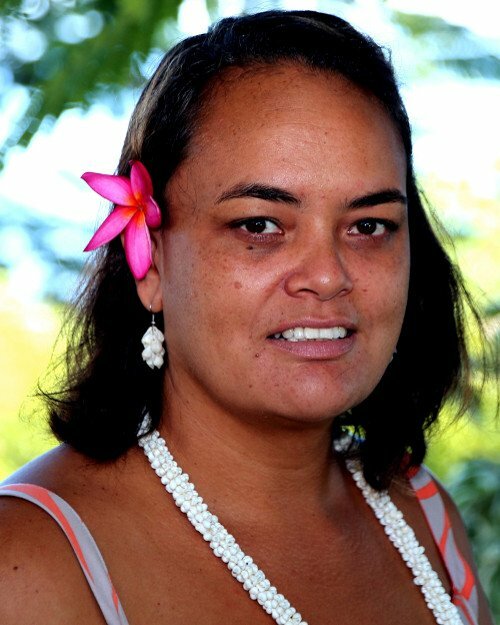 She is one of six Fisheries Management Advisers at the Pacific Islands Forum Fisheries Agency in the Solomon Islands, where she provides technical advice for Pacific tuna fisheries management policies in the world’s largest ocean. Part of her role includes supporting Pacific Island countries at meetings of their regional fisheries management organisation, the Western and Central Pacific Fisheries Commission (WCPFC). Participating in Commission processes also provided a stepping stone for her 2009-2011 election to the demanding role as Vice-Chair of the WCPFC Scientific Committee; dealing with global and Pacific stakeholders in the scientific assessment, research and reporting sessions of regional tuna stocks. For Maru, chairing and leading sessions covering complex management options, and technical scientific discussions to support decision making by Pacific nations on their fisheries management work as members of WCPFC, is all in a days’ work. She is a seasoned communicator, able to keep a room listening and engaged when she delivers and chairs plenary discussions to delegations who may not all be on the same page when it comes to lining up their tuna priorities. Taking delegations through key impacts and implications of highly technical papers from the WCPFC, she has a rapport with fisheries officials not just as a recognised expert on Pacific Oceanic Fisheries Management, but as someone who has been there alongside them from her beginnings as a Cook Islands Fisheries Officer where she developed her insights on national policy processes aligning with regional development priorities for Pacific nations. Having gained recognition as a leading voice on oceanic fisheries management in the region, the 35-year-old Cook Islander is an avid supporter of increasing the presence of women in fisheries, and ensuring that Pacific Islands maintain ownership of their fisheries resources. In a sector where management and at-sea work is dominated by men while on-shore processing and administrative posts are led by women, she says her passion for the ocean from an early age was fostered by her exposure to the “deep, wide, and incredibly diverse” world of Oceanic Fisheries—a career choice which helped connect her to mentors who built her skills and confidence. This portrait of Pamela Maru was first published by the Pacific Community for the 70 Inspiring Women campaign, it is reproduced here (with some modifications of our own) with their permission.